The Reebok Classic “his and hers” Easter Pack is a larger version of the perfect Easter egg you dyed as a kid. The colors are exactly right and you just want to admire the shoes. The ever popular Question Mid and Kamikaze II models receive new lux materials and pastel color treatments for a fresh look this Spring. For the ladies, pops of pink and hydro blue accent the glossy white upper of the latest Question Mid, which sits atop the customary ice bottom sole. The newest iteration of the Kamikaze II Mid boasts a jadite and teal suede upper with a speckled midsole for a clean yet aggressive execution of this timeless classic. 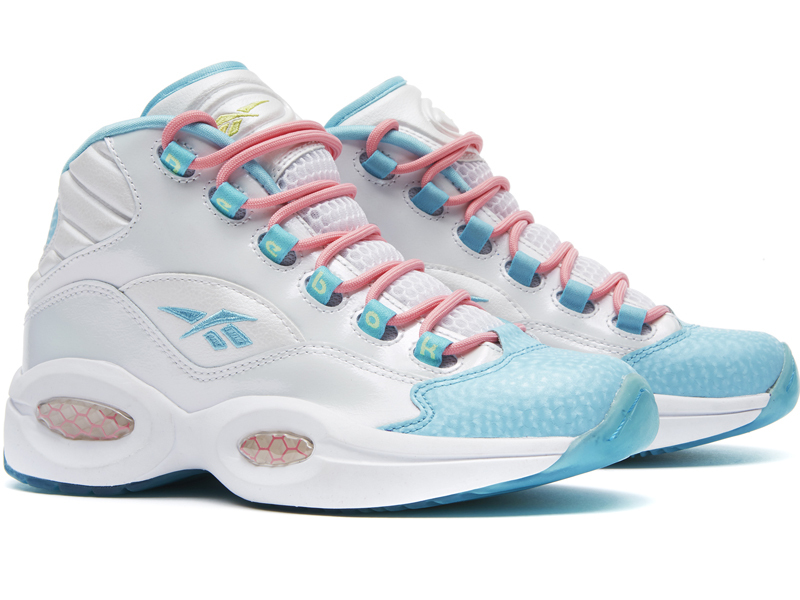 Limited pairs of the Question Mid white/blue/pink will be available on April 18th in extended grade school sizes 3.5.-7. For the guys, limited pairs of the Kamikaze II Jadite/Teal will be available on April 18th in men’s adult sizing and extended grade school sizes 3.5.-7 for $100 ($85 GS).